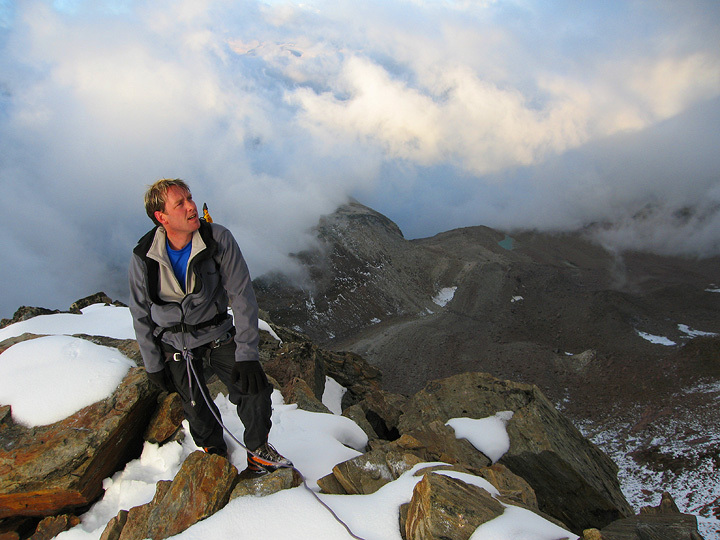 A few years ago, David traveled from his home in Wales to climb the Matterhorn with Mark. Unfortunately we have been stymied by bad weather or conditions, and, once again we were unable to make the ascent this year. But we did have a good time on some other great routes. 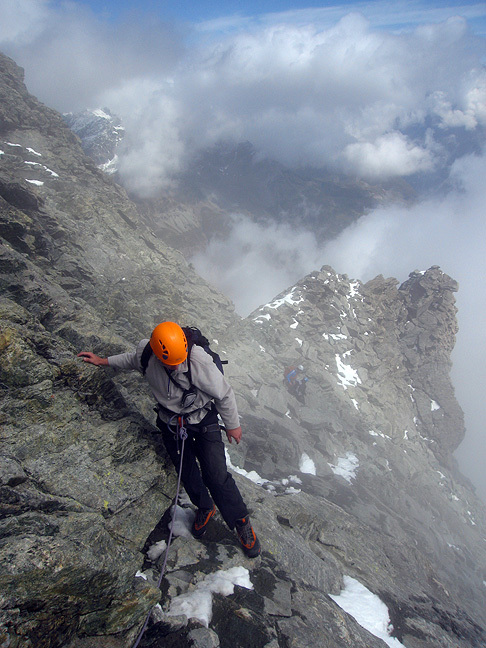 We began our trip with a climb of the Dri Horlini, a fun rock peak just above the Almageller hut. After a night in the Almageller hut we did a traverse of the Weissmies. Sunrise (more or less) on the South Ridge amidst the clouds. 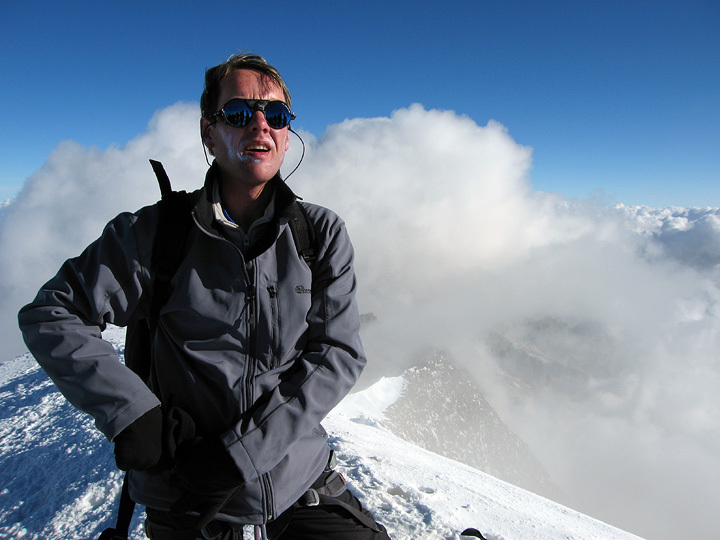 On the summit we were able to climb above the clouds and actually enjoy a bit of a view. 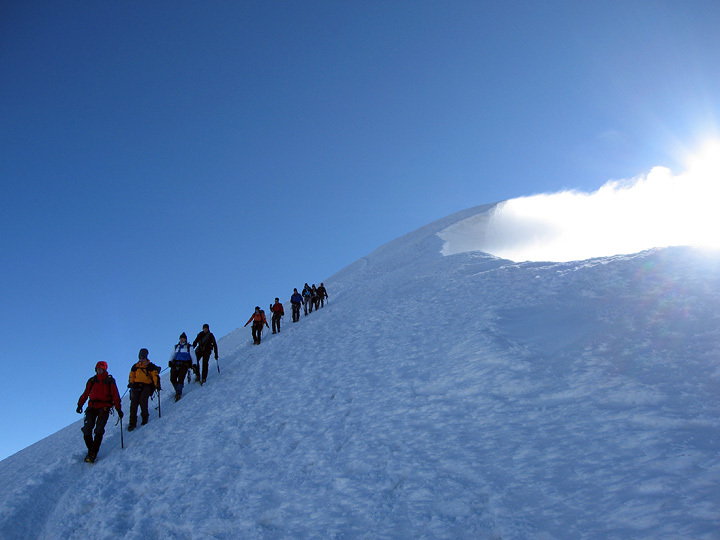 Other climbers descending the Weissmies. 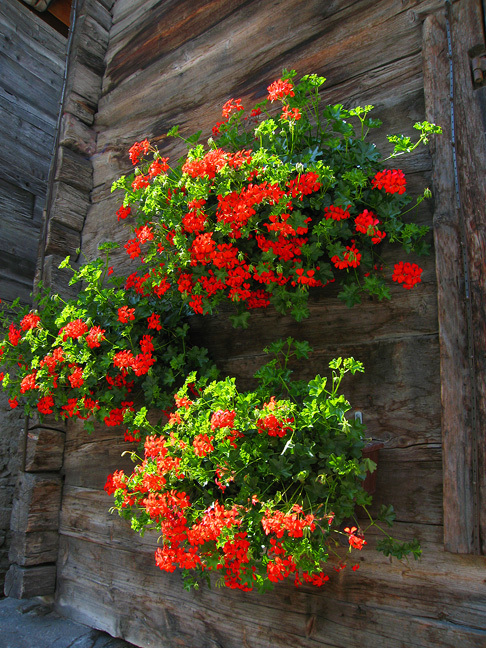 Enjoying the flowers in Saas Grund while we wait for the bus to take us back to the car in Saas Almagell. The next day was forecast to be reasonably good, but the day after bad again. 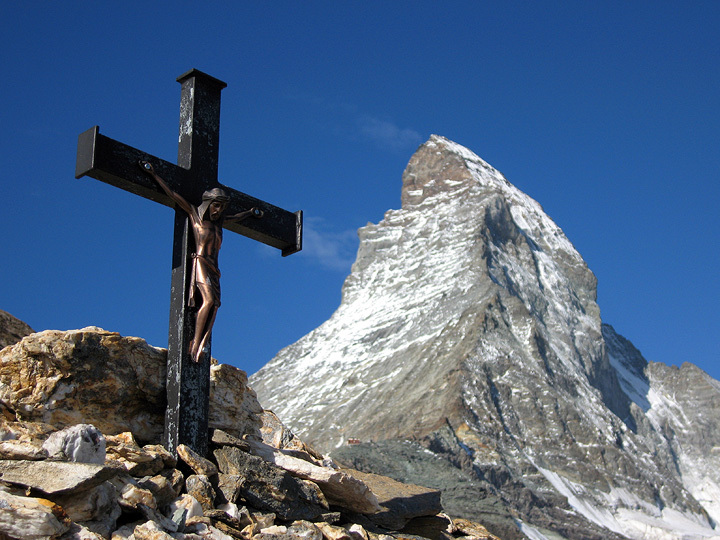 We decided to head up to the Matterhorn and just go partway up the route just to "check it out". 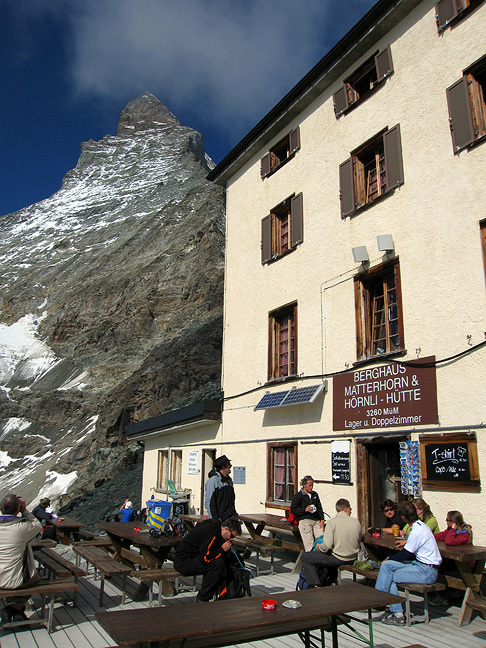 We planned on returning to Zermatt in the evening. 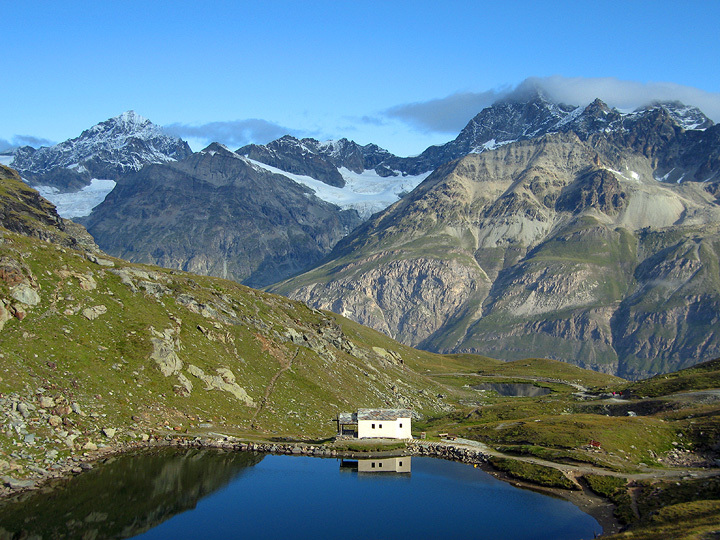 Here, we are hiking up to the Hörnli hut–Dent Blanche on the left and the Obergabelhorn on the right. Clouds coming and going in the course of the day. Looking towards Monte Rosa. 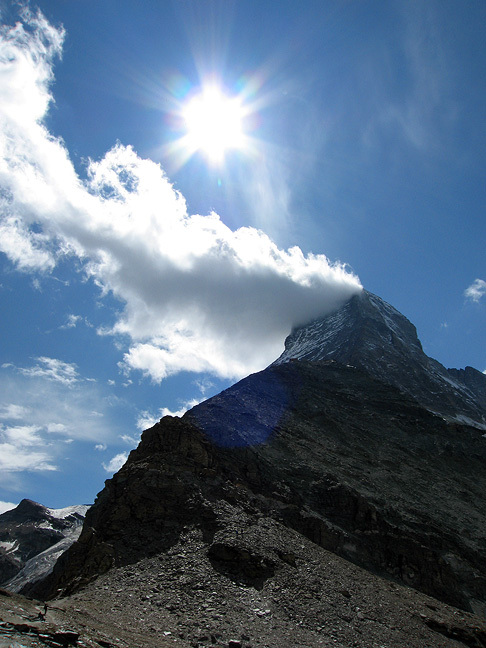 The Matterhorn from the trail up to the hut. 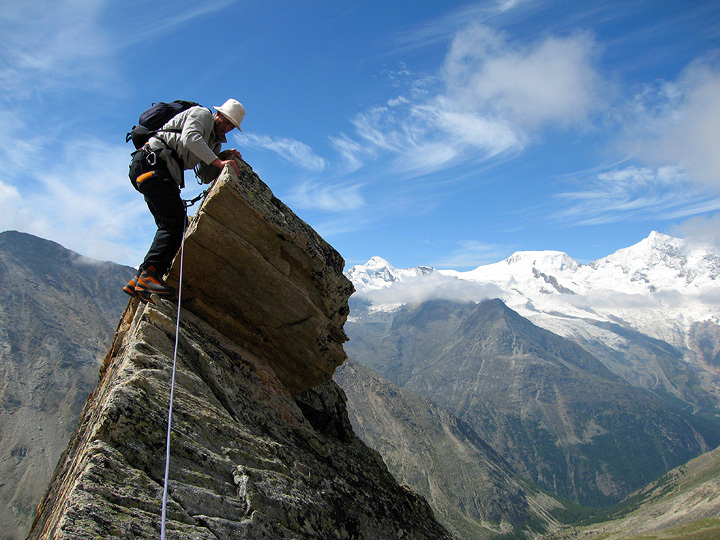 Climbing on the Matterhorn, about half-way up. The Solvay hut at 4000 meters became our high point, as climbing higher would have meant missing the last lift back into town. So the Matterhorn will have to wait until next year. 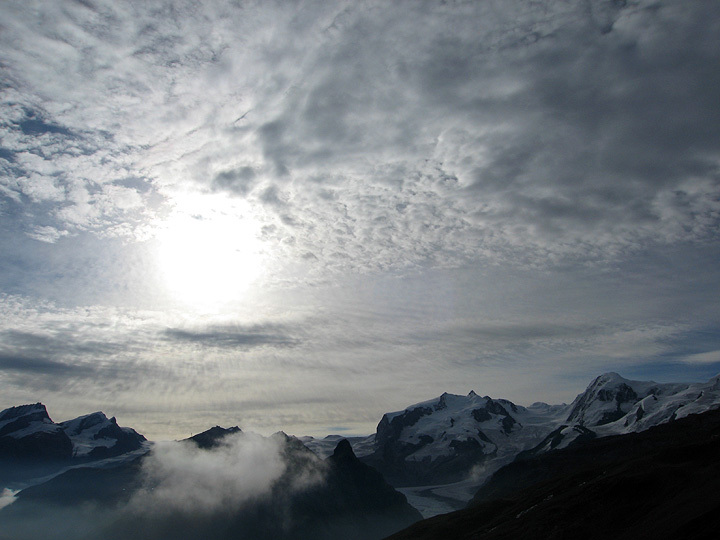 The night of our one-day partial ascent of the Matterhorn was decidedly stormy. There was a fair bit of new snow, and the mountains looked wintry in their whiteness. 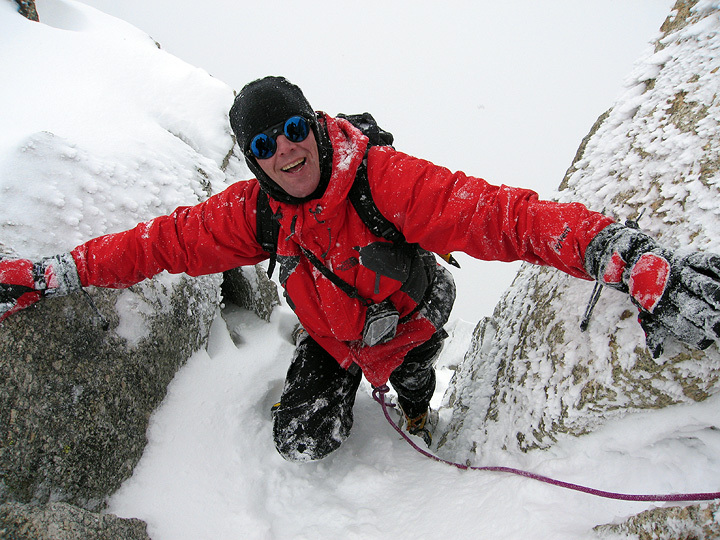 We decided to return to Chamonix, where there are a a few options that are still possible in the new snow. 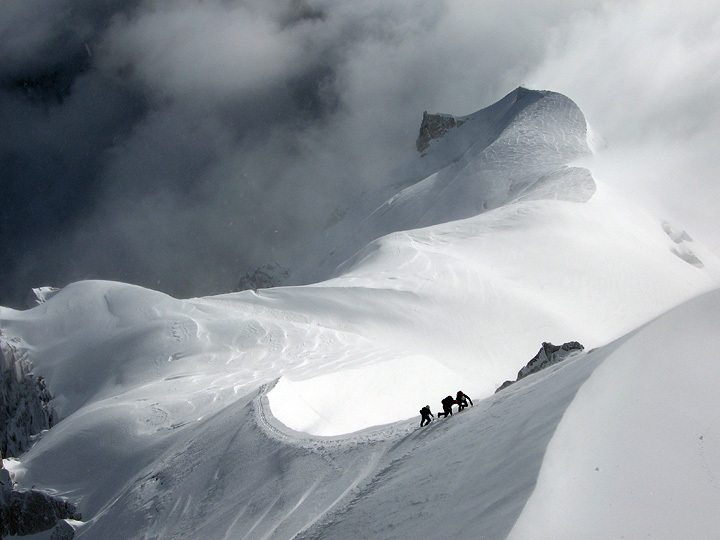 In this photo we watch a few climbers struggling back up the ridge to the lift at the top of the Aiguille du Midi. 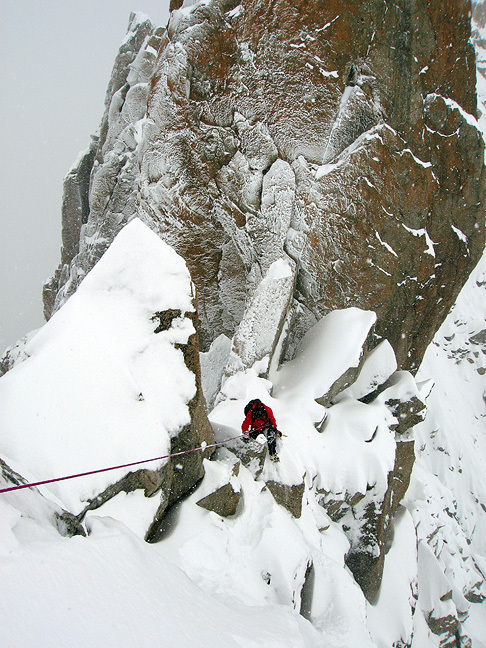 And the Arête des Cosmiques is one of those options. Here we are, all alone on the route. Actually it is really quite fun all snowed up. 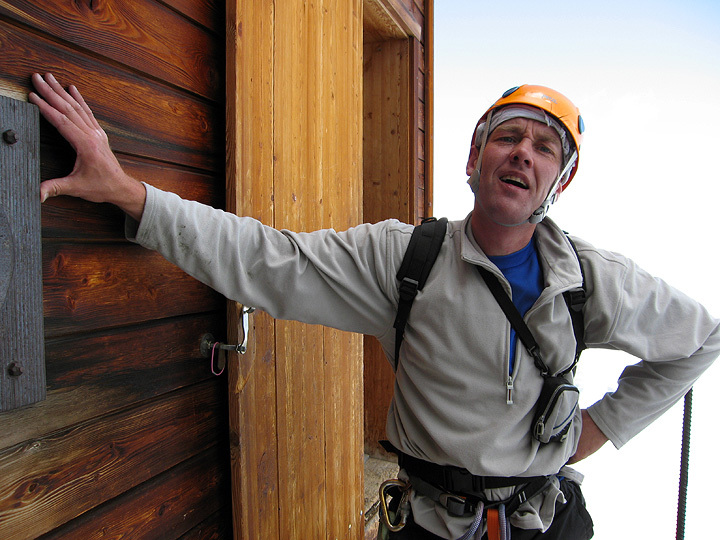 David exits the last chimney on the Arête des Cosmiques.